Fair enough husband, fair enough. Gotta work on that. Anyway, fish. Fish makes us not mean! I made this fish on inspiration from my girl Rachael Ray, who’s my bff in another life. I know – dorky. I don’t care. 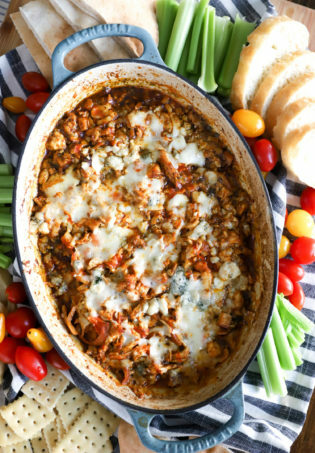 The great thing about this dish is that it’s packed with flavor but is incredibly simple to make and is HEALTHY. Furthermore, the method could be altered to include…anything you want! Other fish, other veggies, extra seasonings…whatever! I like this really simple version because the fish gets all tender and lemony and buttery without using any butter so….let’s get right to it. 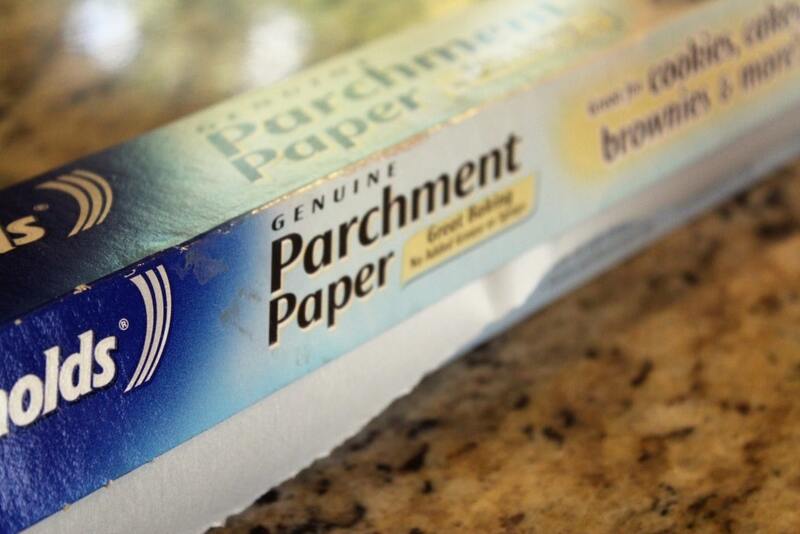 You’ll need parchment paper. Buy it! It’s cheap and handy. If you don’t have any I think you could use aluminum foil for this, just spray it with a bit of cooking spray before you fill the packets. No worries. 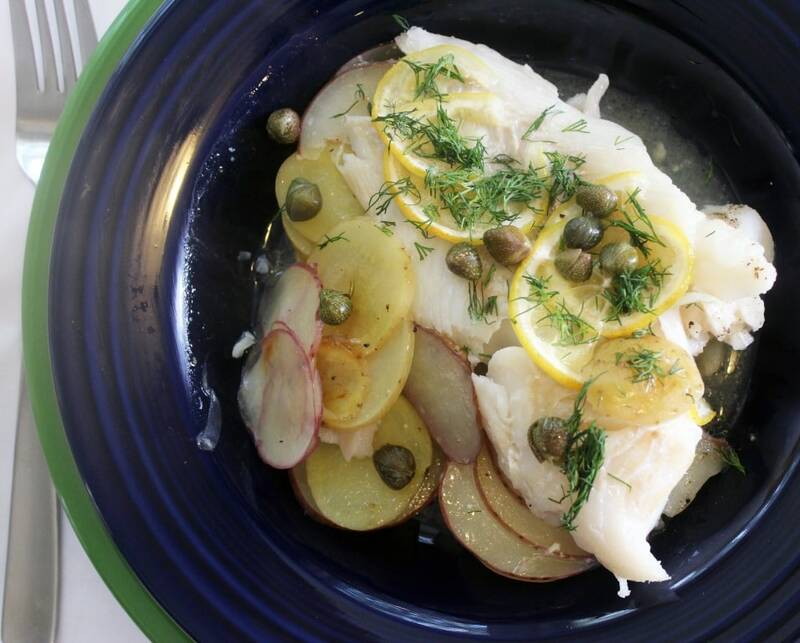 You’ll also need firm white fish like cod or halibut (whatever fish you like, an inch thick or so), dill, capers, potatoes, salt and pepper, olive oil, and lemon. First, preheat the oven to 400F. The only prep you need to do for this is to deal with the potatoes and lemon. I have a mandolin (thanks Rebecca and Ed for the wedding gift!) that I LOVE, but if you don’t have one just slice the potatoes and lemon very thinly. 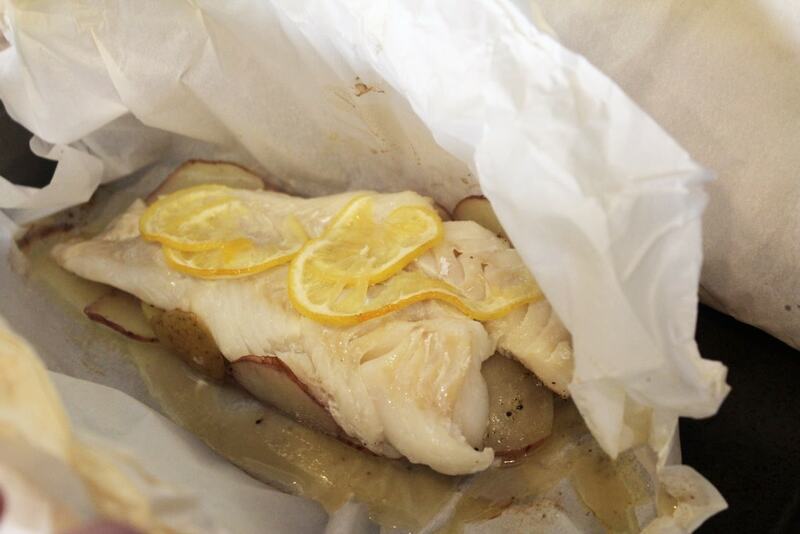 The thin slices allow the lemon to really infuse the fish with flavor, and the potatoes get fully cooked this way. 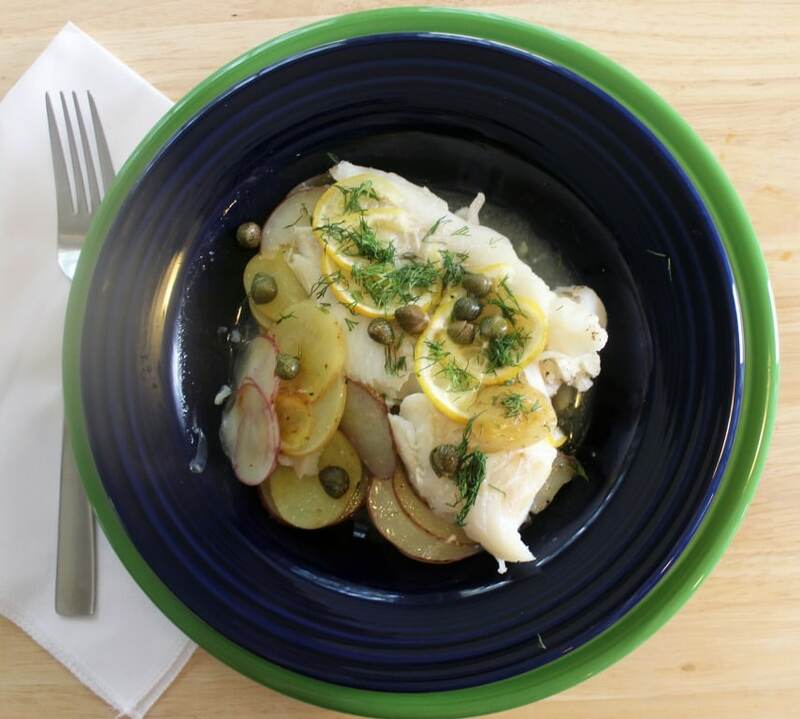 Thin potato slices + thick fish = even cooking time for all ingredients. So, now we build the packets. 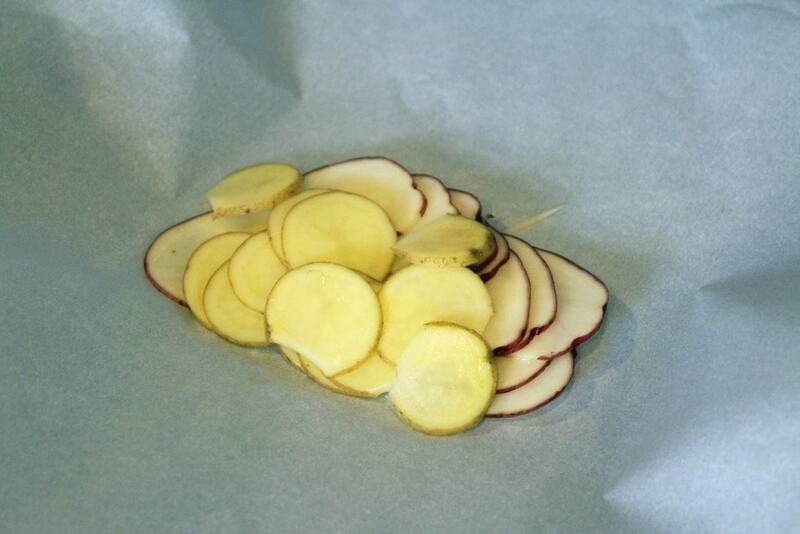 Layer a heap of potatoes right in the middle of a large piece of parchment – around the size of a baking sheet. Build the packets on a baking sheet just in case anything drips out. 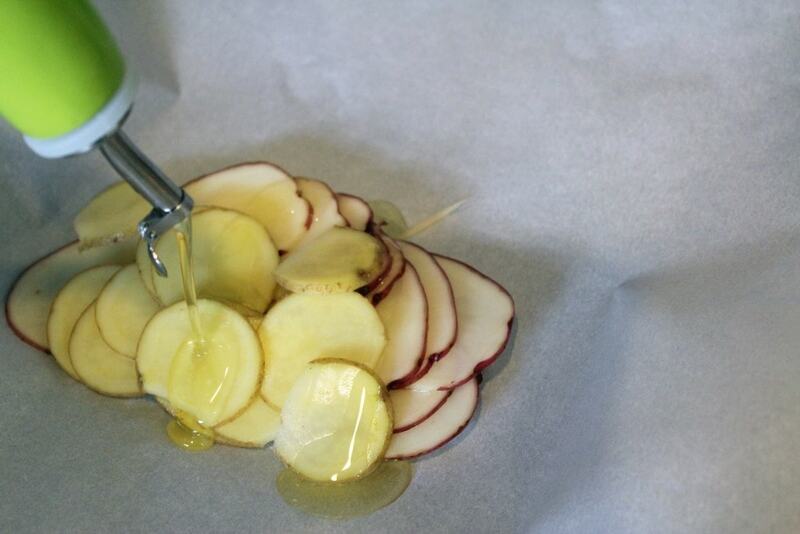 Drizzle the potatoes with olive oil – just a bit! And sprinkle them with salt and pepper. Then, lay a piece of fish right on top. Layer a few lemon slices over the fish, then sprinkle the fish with salt and drizzle over a bit of olive oil – a tiny drizzle each time you add oil. AND WINE! I almost forgot about wine. 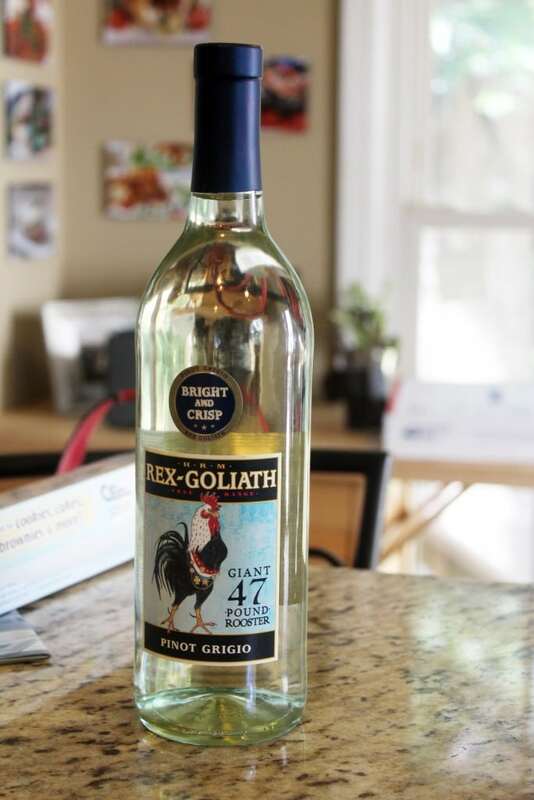 You need white wine for this, or veggie stock would be fine if you’re not a booze hound. 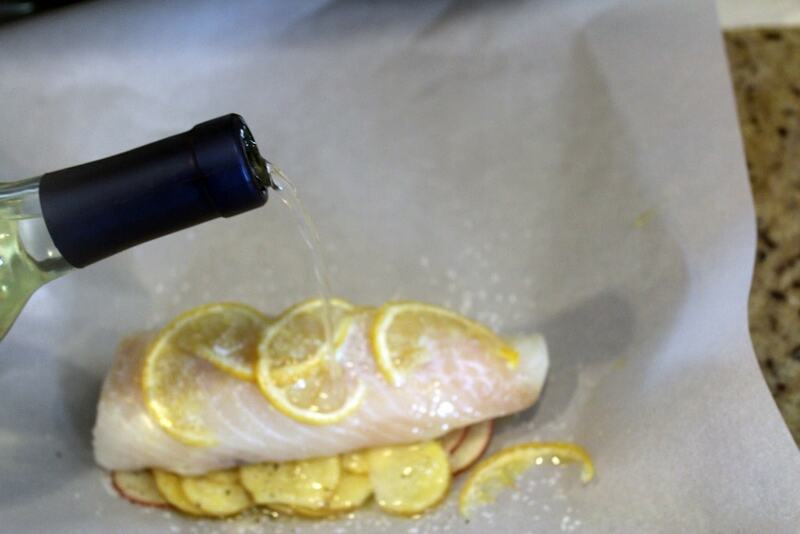 Pour 2 tablespoons of wine over the fish – this is where a rimmed baking sheet comes in handy. Now, we make the packets! Gather up the two short ends of the parchment. 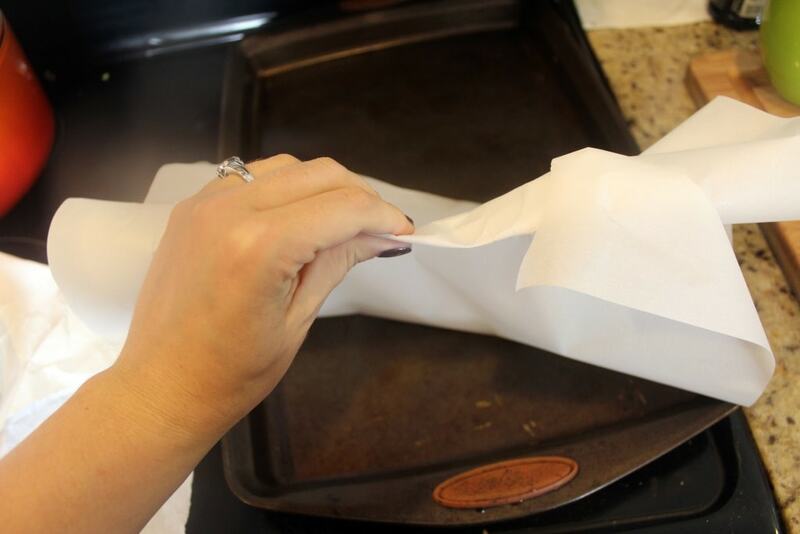 Then, roll the parchment tightly around itself over and over. 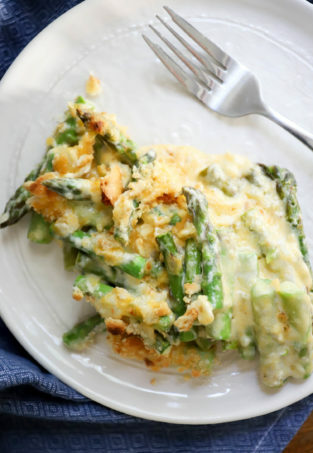 Tuck in the edges, and you’ll and up with half-moon packets. 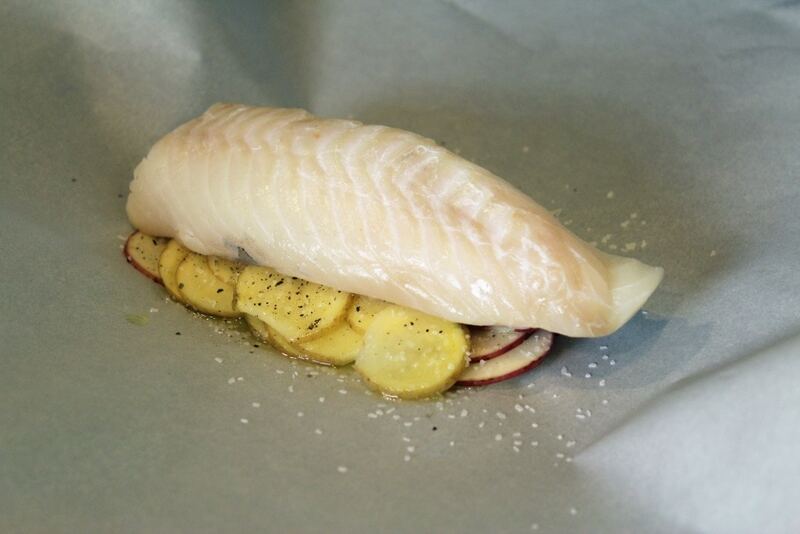 Now, bake the packets for 15 – 20 minutes until the fish is cooked through and very flaky. 20 minutes made mine perfect! 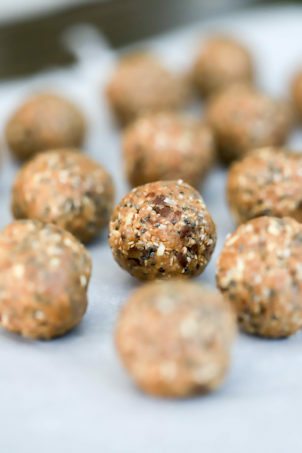 If you’re not sure, just open one packet and test the fish. If it flakes easily with a fork, you’re ready to eat! 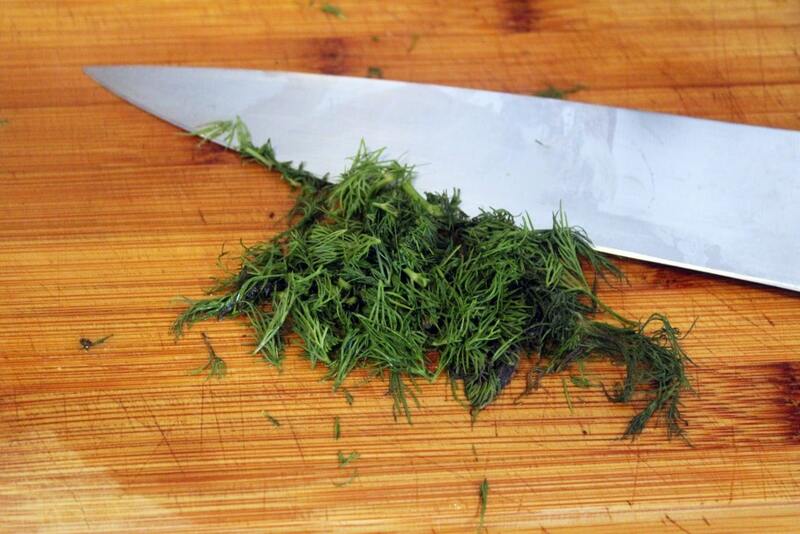 While the fish is baking, chop the dill. Gently slide the potatoes and fish onto a plate – using a spatula help ensure that the mounds stay intact for a pretty presentation. Add all the juices too – they’re the best part! 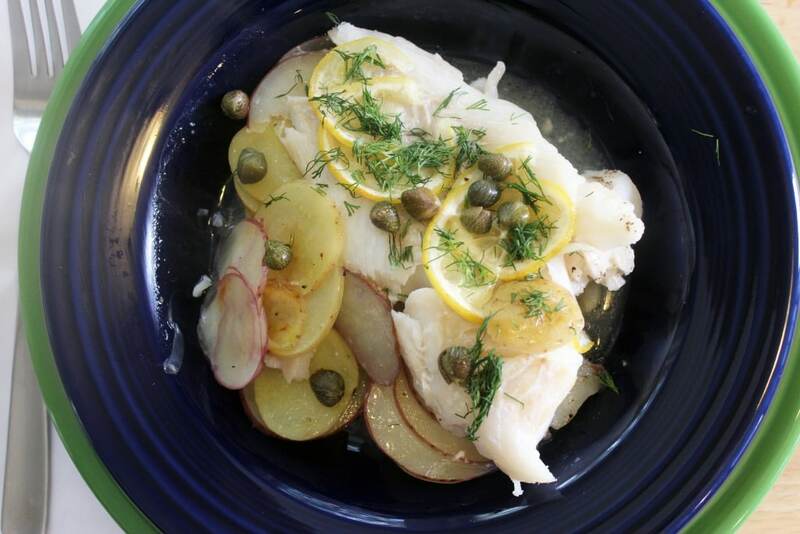 Top the fish with dill and capers and YES. Food. 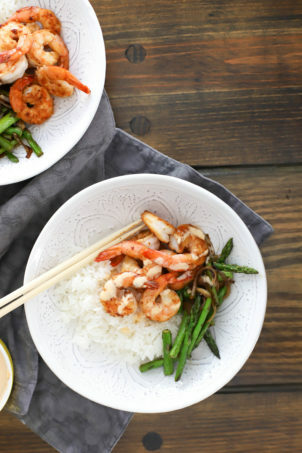 In 30 minutes or so, completely delicious, and totally healthy. 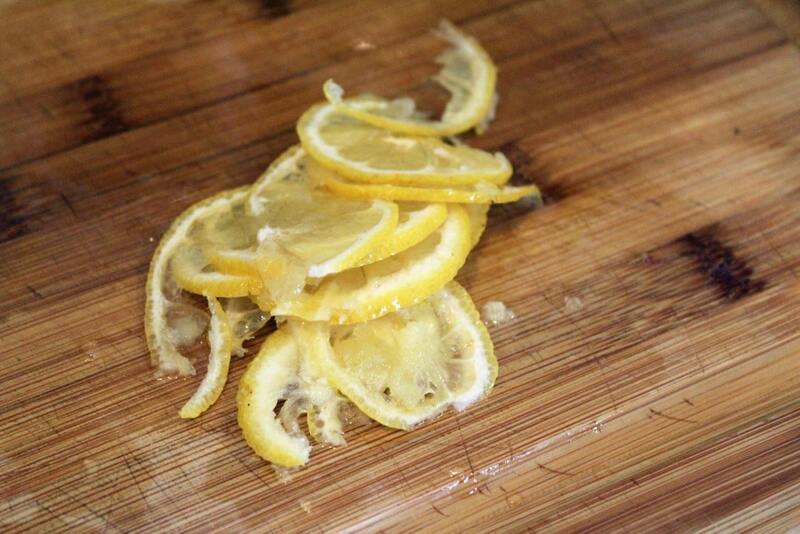 The beauty of slicing the lemons so thinly is that you can eat them – they’re tender and flavorful without being bitter at this point. 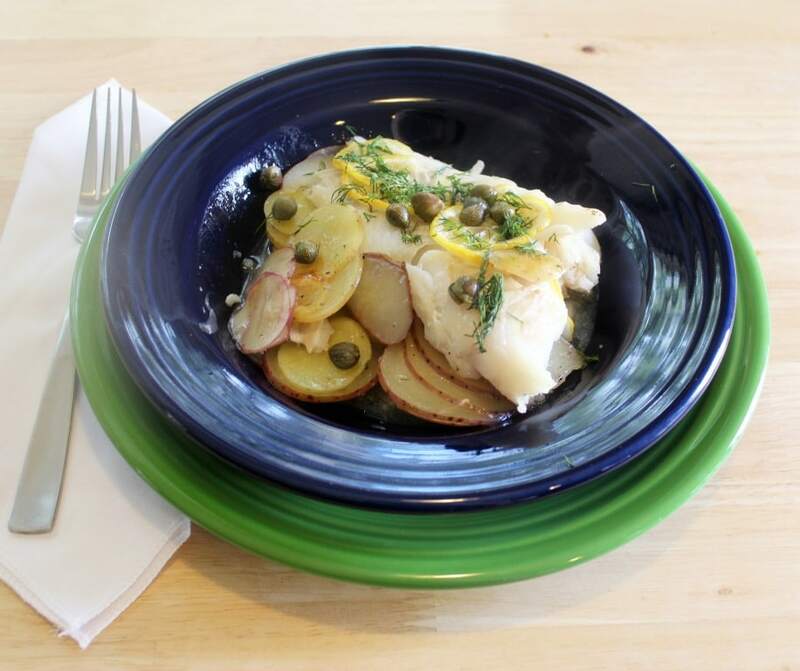 The fish and potatoes go so well together, and the simplicity of this dish is just….unreal. 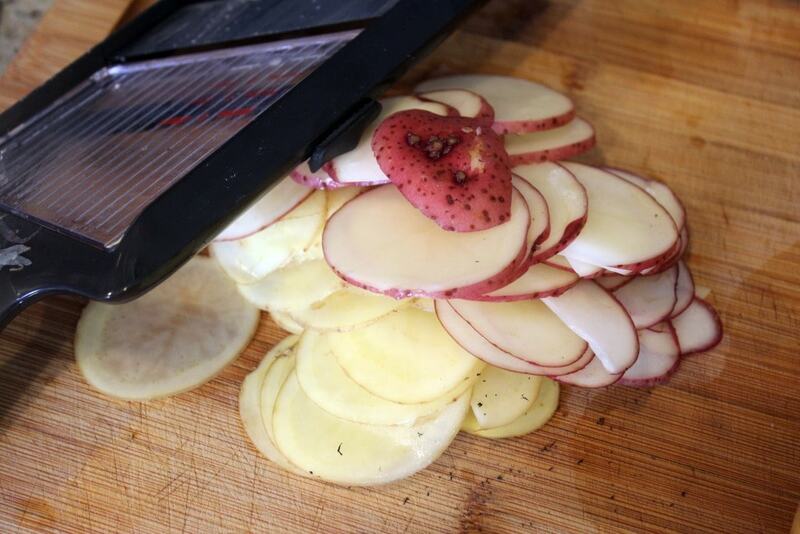 The thin slices of potato also leave you not needing a ton per person – 1/2 baking potato per person would be more than enough. 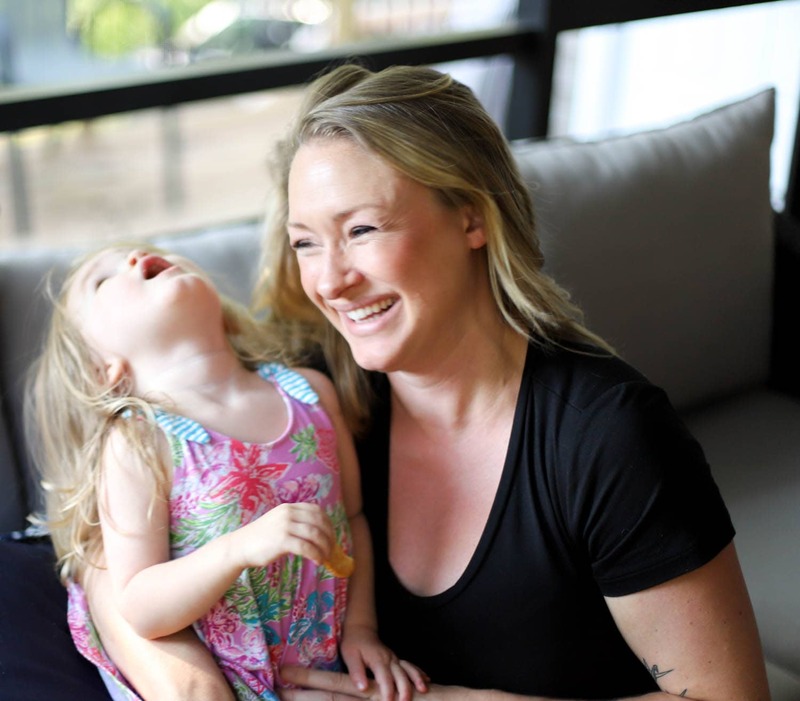 You’ll love this, friends! Make it soon, love it, marry it, and tell me how it goes. I promise you won’t be let down. Preheat the oven to 400F. 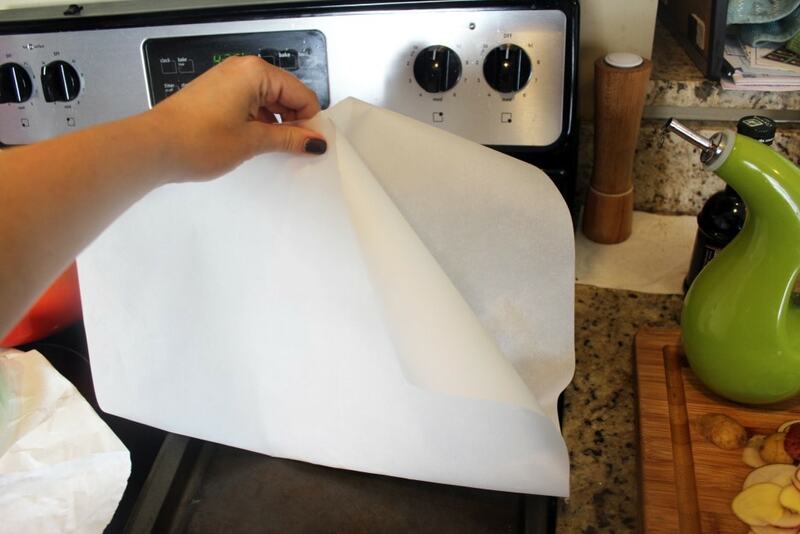 Prepare 4 large sheets of parchment paper, about the size of a baking sheet. 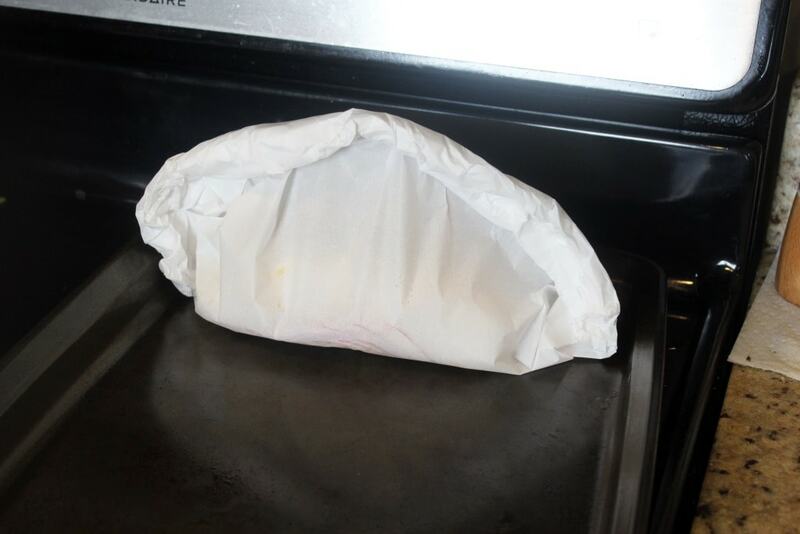 To assemble the packets, layer a mound of potatoes in the center of 1 piece of parchment. Drizzle it with oil, and sprinkle with salt and pepper. Top with a piece of fish. 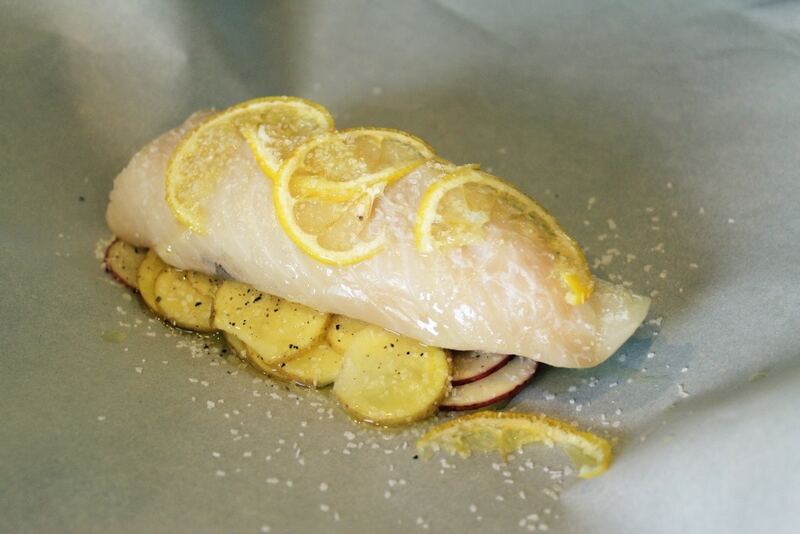 Top the fish with several lemon slices, a bit more oil and salt, and 2 tablespoons white wine. 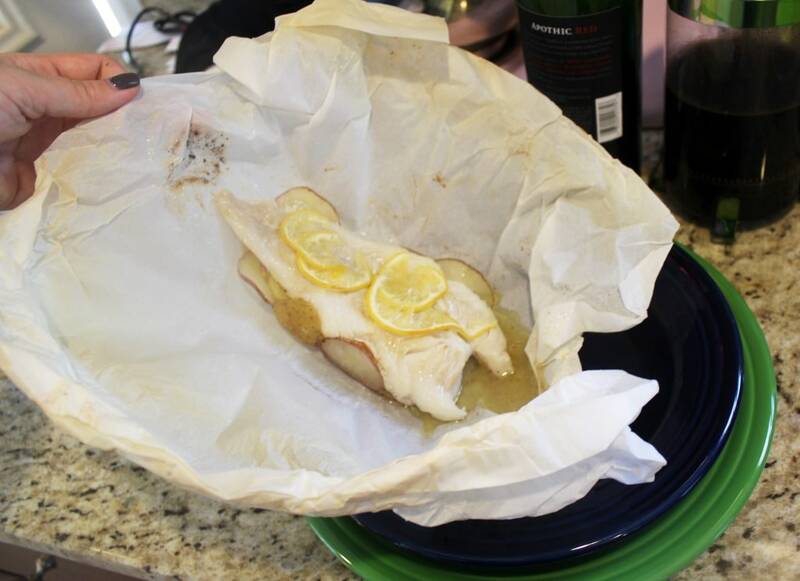 Roll the edges of the parchment paper tightly to form a half-moon shaped packet. Repeat with the other 3 pieces of fish. 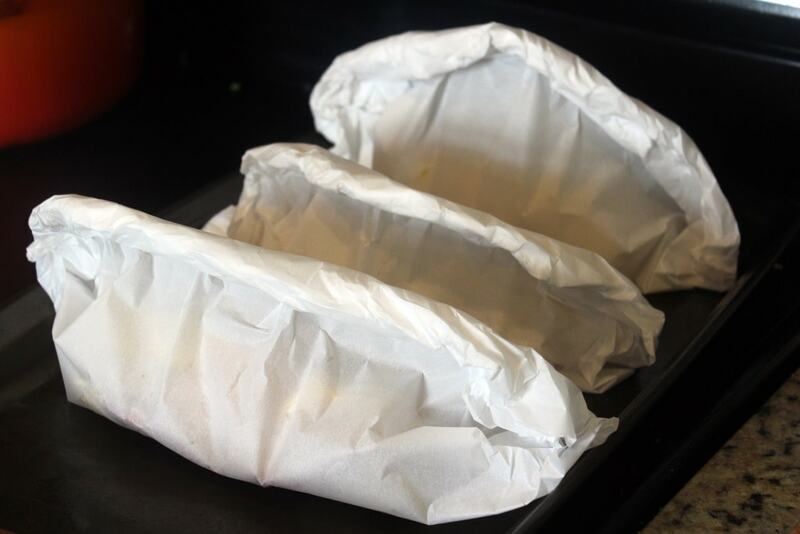 Bake the packets for 15 - 20 minutes until fish is cooked through and flaky. 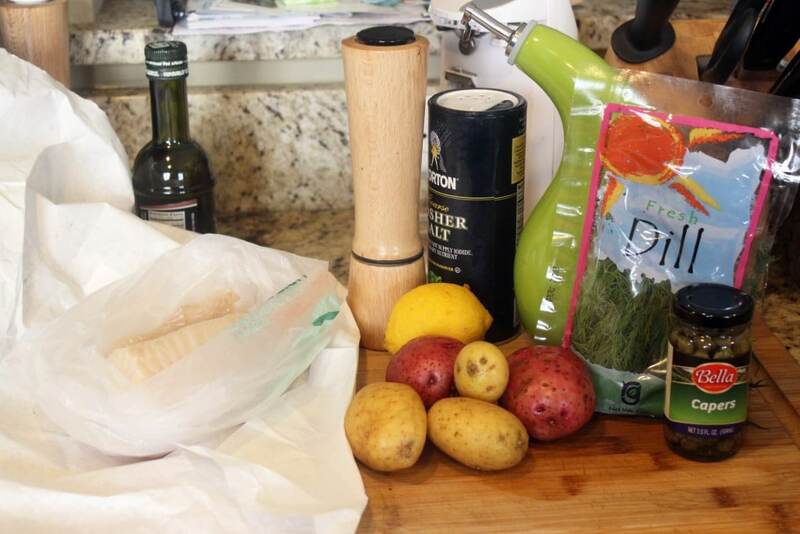 Remove gently from the packets and slide the fish, potatoes, and any juices onto plates. 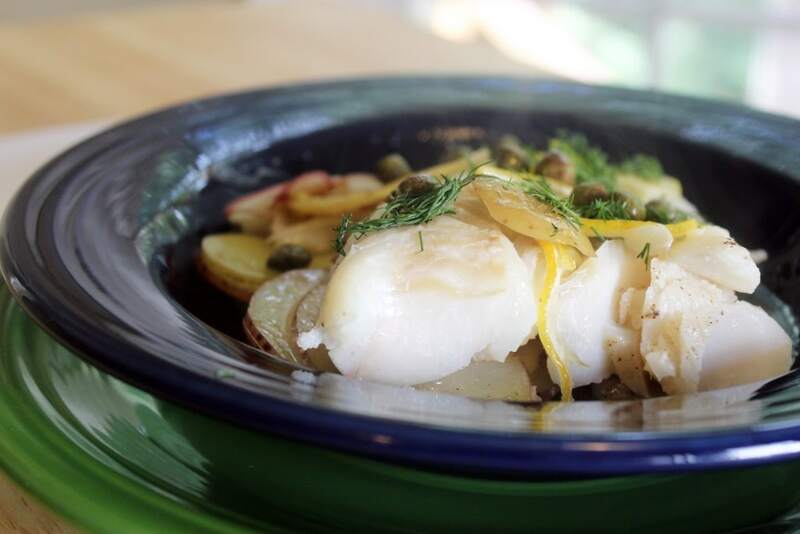 Serve topped with fresh dill and capers.